Sydney is famed for all manner of man-made icons. The Harbour Bridge. The Opera House. Beautiful Blondes on Bondi Beach. It is easy to forget, surrounded by buildings and busses and the bustle of city life, what really matters. Food source for one. Fresh air. Friends. A farm stay experience, with five other families, recently gave us an opportunity to reacquaint ourselves with these important things. Never mind the fact the accommodation was, shall we say, rustic. It gave us something to laugh about over our gin and tonics, while the small people ran riot. 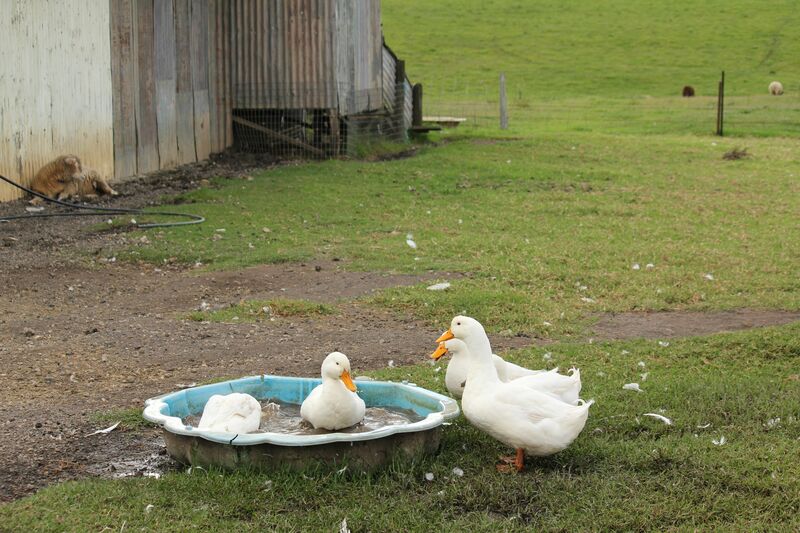 And anyway, we were there to see what life was like at a farm, not a resort. 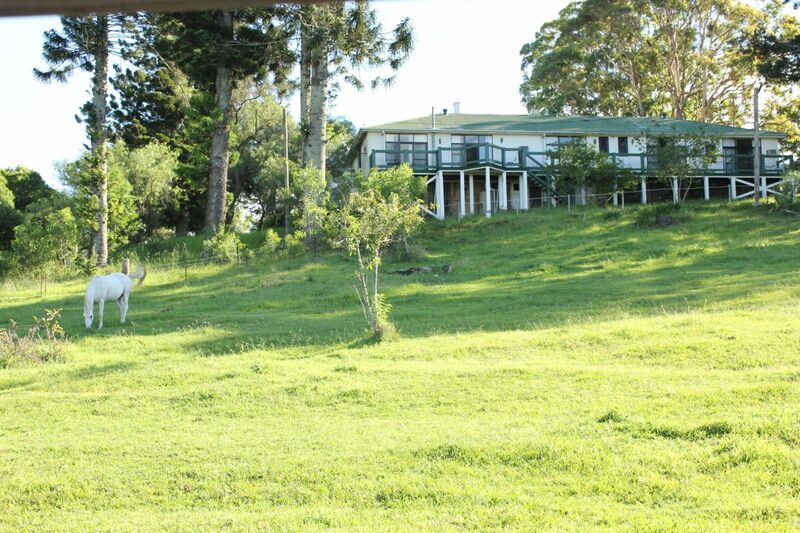 Mowbray Farm, 90 minutes south west of Sydney, is certainly designed to give you a good dose of working farm life. 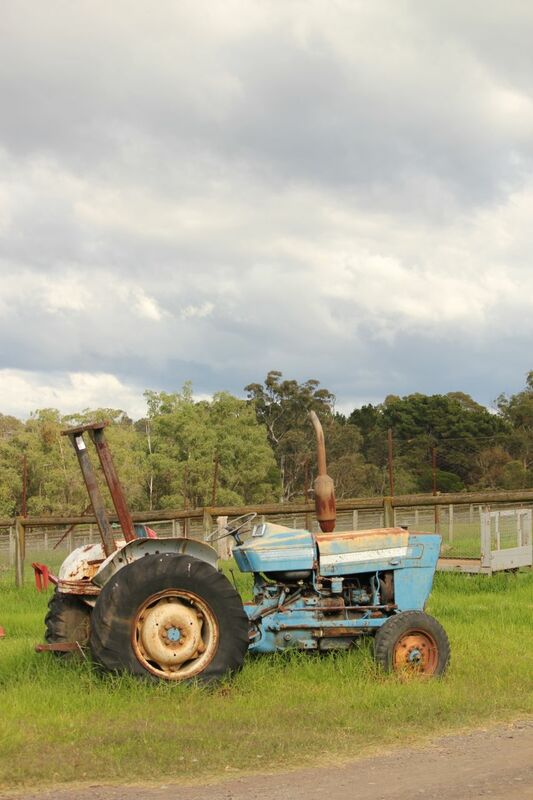 From the early morning tractor ride and the animal feeding, cow milking, pony riding activities that are laid on, to an afternoon of damper making and billy tea drinking, there is never a dull moment in this part of the country. Between archery and whip cracking, swimming in the pool or taking a horse ride, the day passes quickly and by 4pm the adults are completely exhausted. I send the kids to lie down and rest for a bit, telling them they must be tired. Soon, the dulcet tones of gentle breathing fills the house, as, spread out on sofa’s and beds, all the adults take a breather and promptly fall asleep. The kids, however, are still up and at it. There is something about kids in a herd. They seem to feed on each other’s energy. There was no stopping them. In the evening, after dinner at a nearby pub, we sat under a moonlit sky, drinking red wine and watching our brood howdown, Australian style. They did the actions and sang along to Old MacDonald had a farm and Give me a Home Amongst the Gum Trees. After a particularly moving rendition of Waltzing Matilda, a slightly strange moment where we all got up and did “the nutbush” and “the macarana”, and one last toe-tapping swing your partner round and round, we roasted marshmallows over an open fire and watched the stars high in the inky black sky. There are so many different experiences in the world. So many places to visit, to explore. Sometimes it is easy to forget how many of them are right at our doorstep. And how wonderful to share them with friends.